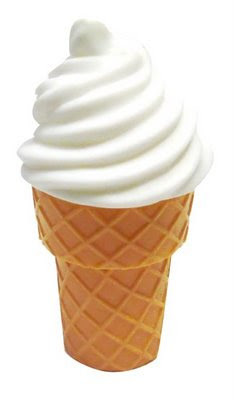 Scoopalicious: Happy National Vanilla Ice Cream Day! Meanwhile beat the egg yolks and sugar until thickened. Pour mixture back into saucepan and cook on low heat, stirring constantly, until the mixture coats the back of the spoon. Strain mixture through a strainer into a clean bowl. Allow it to cool slightly and add the vanilla. Refrigerate overnight (or until completely cooled). Pour in ice cream maker and churn. If I don't have time to make it? Brigham's French Vanilla all the way. They told me they discontinued it (and I still can't find it on their site), but I keep finding it on the shelves. I'm not complaining!